When working with mobile instrument systems in the Oregon Electronic Device Orchestra at the University of Oregon, we often require our laptops to stay awake while they are closed and stored in a breathable backpack or cart. To do this, we use a small application called nosleep. It was not uncommon however for performers to forget to initiate this program or turn it off when finished, resulting in overheating computers or failed instruments. To solve this issue, I have compiled a max abstraction that will automatically run and quit the nosleep application with the opening and closing of a max window. To successfully use this abstraction, the user must install nosleep, making sure to select the optional command-line interface on installation. Please also make sure that Masayuki Akamatsu's aka.shell object is included in your Max Library. 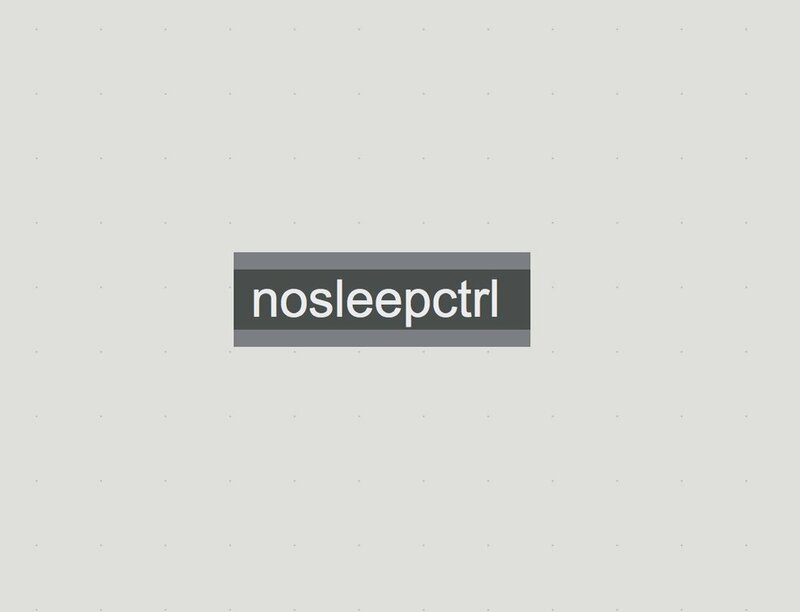 You can download nosleepctrl here.